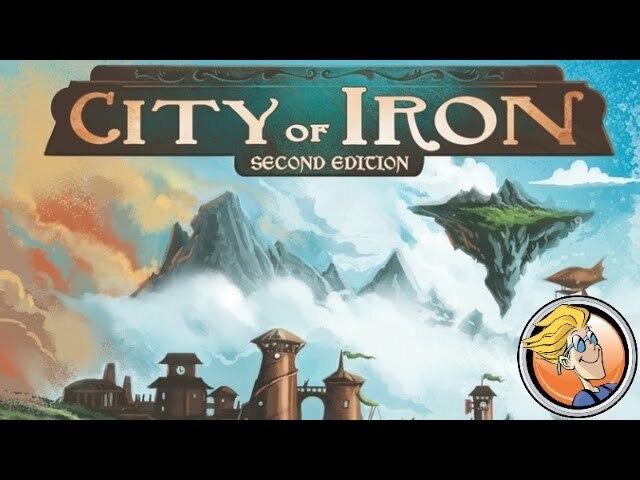 City of Iron: Second Edition is a game of economic competition set in a lushly illustrated steampunk world. Created by Ryan Laukat, designer/illustrator of Above & Below, play as the industrious humans, the toad engineers, the scholarly Cresarians, or the clever hogmen. Produce goods and research technology to out-maneuver your fellow city-statesmen. Build airships to reach and settle faraway lands. Recruit armies to take over your opponent's territories. Customize your decks of lavishly illustrated cards, and lead your City of Iron to victory. Buy City of Iron to realize just how quickly nations can rise... and fall.